Over the past nine months the planes have joined with the airline, with an Airbus A320 from lessor Magnetar with 174 seats and the registration D-ABDT, marking the final hurdle. All these machines were previously in service for airBerlin and were sold off or leased out by the respective owners following the airline’s bankruptcy in August last year. “Our integration project, which has been managed in record time, is unprecedented in European aviation,” said Eurowings chief executive, Thorsten Dirks. According to Dirks, Eurowings employees have achieved the “extraordinary”. He added: “airBerlin was in the market for 40 years. Dirks also stresses that by doing this Eurowings has expanded its position in the European air traffic market. In addition to the 77 aircraft, Eurowings has hired many new employees, reallocating 3,000 jobs in the cockpit, the cabin and on the ground. Thanks to its extra capacity, Eurowings is now the number one at six German airports: Cologne, Düsseldorf and Stuttgart and now Hamburg, Nuremberg and Hanover as well. The airline is also recording strong growth at other important locations, in some cases up by more than 30 per cent. 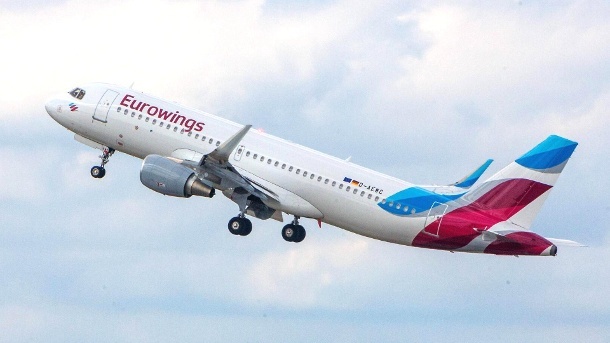 In total, more than 19 million passengers have taken off with Eurowings this summer, around 17 per cent more customers than in the same period last year. Dirks is convinced that the one-off investment in expanding Eurowings’s capacity this year will soon pay for itself.